Here is the only picture I took of our Irish feast. 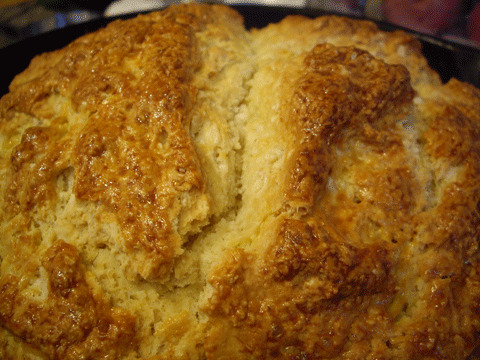 I made Martha's recipe for Soda Bread, and I baked it in a buttered, floured cast iron skillet. It was pretty tasty. I left out the raisins and caraway seeds (yuck to both….totally not a fan of raisins in things…they're ok on their own, but not baked in bread and god forbid, in a salad or cooked up in some sort of savory dish…blech) I suppose Irish Soda bread is not the most exciting thing, but doesn't it look all pretty and shiny? 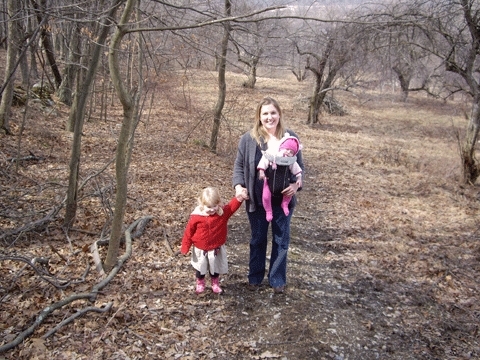 I have actually been getting a little bit of work done around here, despite the demands of the wee ones. It was so nice to be able to open up the house and do some felting while a nice warm breeze wafted in…I am sooooo much more productive and happy in this nice weather! 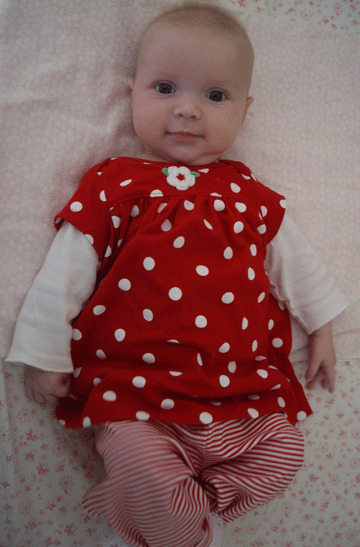 Speaking of wee ones who distract one from working…how can you resist this much cute? I cant wait to open the doors and windows!!!! I’m the opposite of you when it comes to raisins, I hate them by themselves, but LOVE them baked in cookies or breads.. or mixed in “gorp” (trail mix). 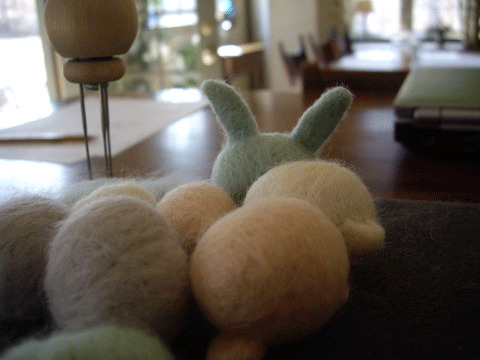 Ihope you show us your felting projects when you finish them! Oh my goodness, I couldn’t get a thing done with that much cuteness lingering! Smooch those sweet cheeks for us. Raisin? Baked in things? Eyew. What a darling little girl!! !